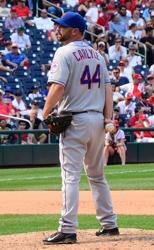 Born: December 21, 1977 in Omaha, NE, is an MLB Pitcher with the New York Mets and BJSA alum. Buddy played baseball and basketball for BJSA and attended Bellevue East HS; where addition to baseball, he also lettered in basketball for the Chieftains and graduated in 1996. Drafted by the Cincinnati Reds in the 2nd round of the 1996 amateur draft. In over 8 years at the Major League level Buddy has a 12 -13 record, with a 5.23 ERA and 220 StrikeOuts. Born: May 16, 1987 in Papillion, NE, is an MLB Pitcher with the Cleveland organization. He has also pitched for the Philadelphia Phillies in 2012 and 2013 and is a BJSA alum. Tyler played baseball with BJSA and attended Bellevue East HS; where he was an all-state selection in the spring of his senior year in baseball for the Chieftains and graduated in 2005. Tyler attended University of Nebraska – Omaha, there he was named the North Central Conference Pitcher of the Year two years in a row, both in 2006 and 2007. Drafted by the Philadelphia Phillies in the 18th round of the 2008 First-Year Player Draft. He made his MLB debut on August 29, 2012, and in two years with the Phillies he was 4-9, with a 5.98 ERA and 71 Strikeouts. On December 13, 2013 he signed as a Free-agent with the Cleveland Indians, where on July 30, 2014 he pitched a near perfect game for Cleveland’s AAA affiliate Columbus Clippers. Born April 25, 1994 in Delaware, OH and a 2014 16th round draft pick of the Washington Nationals, and BJSA Alumni. Played football and baseball for BJSA, 2003-07, playing on the Warriors and Thunderbirds in football and for the Bruins in baseball. He Graduated from Empire High School (Tucson, AZ) 2012, two time 1st team all Arizona and 2012 District Player of the Year (1st team Pitcher and 1st team CF). He also graduated as Empire's all time leader in Assists, Steals, 3 pointers, and Points in Basketball. Cole Played baseball at Pima Community College 2013-14 2014 where he was all ACCAC and 3 time conference Pitcher of the Week. 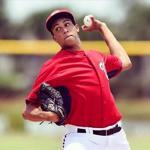 Drafted in the 2014 16th round of the MLB draft by Washington Nationals.